Many jobs blend accounting skills with finance and business savvy. That’s why getting it a finance or business certification is so important. A certification can help you secure a great job or increase your ability to get promoted and climb the corporate ladder. Depending on what you want to do with your career and what industry you want to focus on, an accounting certification might not be the right fit. For instance, if you want to go into the investment industry or banking industry, a finance certificate makes way more sense than an accounting certificate. In this article, we’ll take a look at the many different options you have and which one will make the most difference in your career. 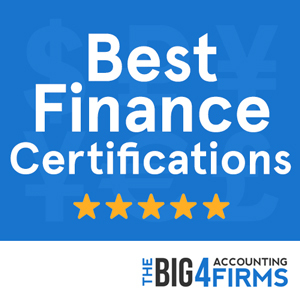 Below is an extensive list of the most important finance certifications that will help you in your business or finance career. The CFA certificate is the mark of proficiency in investment analysis and portfolio management. This self-study program focused on investment knowledge will help you reach the very top decision-making positions in the field of investment. The CFA program is organized into three levels from basic knowledge to applications and advanced analytical methods. Each level ends with an exam. You are expected to study for approximately six months before each exam and you need to take the three exams sequentially. To become a CFA, you will need to become a member of the CFA Institute and adhere to its code of ethics; you will also have to acquire four years of investment work experience. This is why successful candidates take four years on average to achieve the CFA charter. This globally recognized life insurance designation allows you to gain in-depth knowledge by following a self-study program in life insurance, financial planning and investment. The program offered by The American College can cost as much as $4,400 and includes eight courses that may be taken over six months or at the student’s own pace. While this is a costly and time-consuming enterprise, the certification may help you earn one-third more than non-certified professionals. The additional training and prestige associated with the credential are extremely valuable if you intend to specialize in life insurance. To enroll on the CLU program you will need to have three years of relevant full-time business experience. As a CLU, you will be required to complete 30 hours of CPE every two years. If you work in the government sector at either local, state or federal level, the CFGM certification offered by AGA (Advancing Government Accountability) can be a valuable asset to your career. This highly respected credential shows that you are proficient in many aspects of government finances ranging from taxes to laws and budgeting. To become a CFGM, you need to hold a Bachelor’s degree from an accredited institution and at least two years of full-time experience in government financial management. You will also need to abide by AGA’s Code of Ethics and to pass three CGFM examinations covering government accounting and financial management and reporting. This certification awarded by the National Association of Certified Valuation Analysts (NACVA) ensures high quality in business and intangible asset valuations. 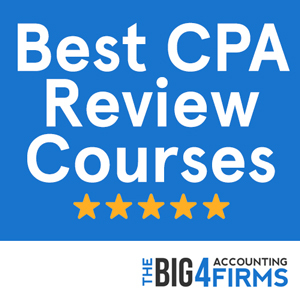 Candidates for CVA certification need to hold a CPA license or otherwise demonstrate the necessary theoretical knowledge and experience (two years full-time or over 10 business valuations). In addition, you must be a NACVA member and attend a five-day training program. To become a CVA, you will have to complete a case study or report for peer review, submit six reference letters and pass a five-hour examination. The CVA is the only valuation certification accredited by the NCCA (National Commission of Certifying Agencies) and as such it is a valuable credential if your career leads you towards the field of business valuation. The Certified Financial Planner Board of Standards, a non-profit organization located in the US is the institution responsible for handing out CFP certifications. 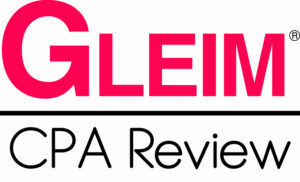 The CFP is a popular license held by over 70,000 financial professionals in the US. Once you’ve passed the exam you will demonstrate that you are capable of handling task ranging from estate planning to cash flow and liability management. To qualify for the exam you must possess at least a bachelor’s degree from a school registered with the CFB Board. You also must have a minimum of three-years worth of professional financial planning employment. After meeting both of these requirements you are then eligible to sit for the six-hour exam. Because CFPs routinely provide people advice on retirement and tax planning it is important for them to be ethical and trustworthy. The CFPs who are the most successful always put their clients well being ahead of their personal gain. Individuals with ABV certifications hold a wide verity of positions and job titles. New ABVs are quickly finding out that they are highly desired and talented individuals are always in demand. Unlike other financial professionals ABVs go beyond traditional analysis when it comes to business valuations. This designation is a good way for professionals interested in becoming business valuation experts to get the edge over the competition. Large tech companies such as Google, Amazon and Apple constantly seek the advice of highly skilled ABVs. However, the exposure that the ABV certification gives you reaches far beyond Silicon Valley. Most states require ABVs also hold a four-year college degree.